Established fairly recently in 1994, Barska have quickly established themselves as a leading sport optics company with a strong brand especially within the optics industry. Barska have their corporate offices in La Verne, California, European offices in Brussels, Belgium and warehouses and distribution centers in La Verne as well as in Shanghai, China. Barska manufacture precision sport optics that includes riflescopes, spotting scopes, telescopes and binoculars. 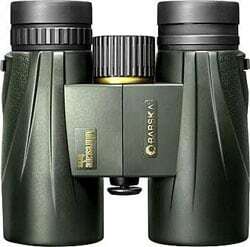 Barska use the latest optical technology in all their products and have binoculars for most outdoor uses including birdwatching, wildlife observation, hunting, fishing, stargazing, concerts, marine and sporting events. Many of their products, especially their binoculars are aimed at the cheaper end of the market, but in recent times they have started producing optical devices of much higher quality, which is evident in the Barska 10x42 & 8x42 Storm EX Binoculars. Barska offer a very wide range of binoculars from the Naturescape, Storm, Storm EX and Blackhawk binoculars aimed at General Use, Wildlife and Birdwatching. To a variety of Marine binoculars that includes the Deep Sea and Floatmaster ranges. 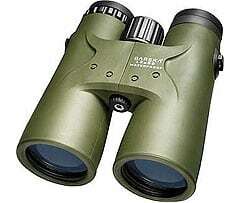 Hunters are also well catered for with their Huntmaster and Atlantic Binoculars. They also offer a wide range of compact binoculars in both Porro and Roof prism designs as well as Zoom binoculars, Opera Glasses and even their Point 'n View, digital camera binoculars. 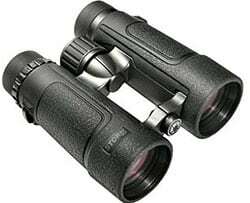 The Barska Storm EX roof prism binoculars are probably modeled on the far more expensive Swarovski El Binoculars and have a compact open bridge design, that are very comfortable to hold. They are available in two configurations: Barska 8x42 and 10x42 Storm EX binoculars making them ideal for both wildlife observaion ad birding as well as good all rounders. They feature high quality BaK-4 fully multi-coated optics that deliver an excellent quality bright crisp images with high contrast and clarity. Tthe locking twist-up eyepieces, diopter adjustment and large center focus knob let you personalize the binoculars to your own viewing requirements. 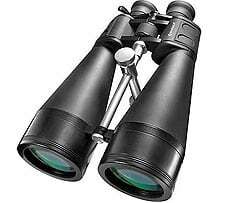 The binoculars are protected by a rubber armor covering with a their textured accents for a firm grip. The Barska Storm EX binocular is 100% waterproof and fogproof on top of this they are covered and protected by Barska's Limited Lifetime Warranty. 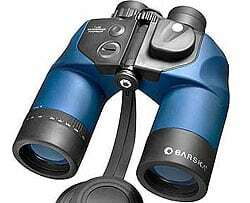 The waterproof Blackhawk binoculars are probably Barska's most popular binoculars. With a tough exterior, these 100% waterproof and fogproof binoculars are designed to perform well in all weather conditions. In the Blackhawk series there are a wide variety of binoculars: From compact to full-size models as well as ones finished in Mossy Oak camouflage. All come with quality BAK-4 prisms and either fully multi-coated or coated optics. Other features include long eye relief, separate diopter adjustments, rubber armor covering, twist-up eyecups and all Barska Blackhawk binoculars are protected with their Limited Lifetime Warranty. The Atlantic series from Barska consist of tough good value binoculars (and one monocular) that are versatile enough for most outdoor nature enthusiasts, but are also aimed to be good enough meet the demands of the hunter. All Atlantic binoculars have been designed with durability in mind and feature a solid construction and rubber armor covering for a secure non-slip grip. Internally you get quality BAK-4 prisms and fully coated optics deliver superior optical performance. They are O-ring sealed sealed making them 100% waterproof and Dry nitrogen-purged making them fogproof and come with a Limited Lifetime Warranty. The Gladiator range consists of a selection of Barska zoom binoculars, with a wide variable magnification range that allows you to target in on an object and then zoom in and magnify it to get a closer look for more detail. Barska say are perfect for long distance land or celestial (sky) viewing. The largest Gladiator Zoom binoculars, the 20-140x80 and 25-125x80 come with a built in tripod mounting post for added stability. Most models feature high quality prisms, multi-coated optics, large center focus knob and right eyepiece diopter adjustment. And all models models have a zoom thumb lever for making quick and smooth zoom adjustments as well as fold-down eyecups for viewing with or without glasses. Marine binoculars, the Deep Sea Series from Barska is designed specifically for the boating and sailing enthusiast. The seven models in this series all have a 7x magnification which is the most popular for marine use because the slightly reduced magnification helps keep a steady image under rough water conditions. A few models also come with an internal rangefinder and directional compass for navigation. All Deep Sea models feature a rugged rubber armor covering that provides a sure and secure grip, failing this there is even a model in this series that floats. All are O-ring sealed for complete waterproof protection and Dry nitrogen-purged and sealed to prevent fogging, clouding and moisture damage. 7x50 Deep Sea Binoculars, includes a floating model (AB10798), one with a rangefinder and compass (AB10160) and one with arangefinder and digital compass (AB10800). The Barska Point N View digital binoculars are an integration of a compact 8x32 roof prism binocular with a 5.0 Megapixel Digital Camera digital camera. 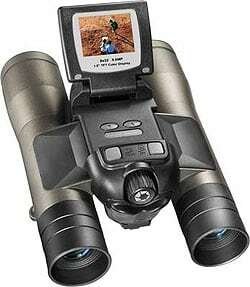 Instead of packing a separate binocular and digital camera, they in theory give you the convenience of having both in one compact device and all you have to do is look through the binoculars and record the scene with the digital camera. Then back at home, you can download it to your PC and edit it with the included software available. On top of still photographs, you can also record video in this model. The Barska digital binocular saves your images and Video to a SD Card Slot, has a 1.5" Color TFT Display and an 8x fixed optical Magnification and 4x Digital Zoom. 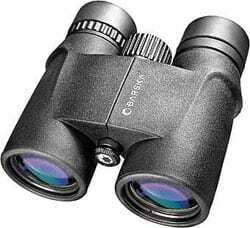 The Huntmaster binocular is obviously aimed at the hunting binocular market, but also make excellent general wildlife observation and birding binoculars. They are available in two magnifications 8x and 10x, they are some of Barska's best quality binoculars. Features include a Phase Coated BAK-4 Prism, where a special optical coating is applied onto the BAK-4 prisms that corrects the phase shift in the light path, reducing internal glare and delivering enhanced contrast and high resolution of details. Phase correction is only really found on superior quality binoculars. For more you can read my article on Phase Correction in Binoculars. Other highlights include: O-Ring sealed for 100% waterproof protection as well as Dry nitrogen-purged and sealed to prevent fogging. Fully multi-coated optics to maximize light transmission for brighter images. BAK-4 prisms for crisp and clear images, long eye relief with twist-up eyecups and come with a deluxe carrying case and neckstrap and all with a Limited Lifetime Warranty. With list prices of around $250, they can now be found on Amazon for around $100, and considering they have phase-coated prisms, I think this makes them an excellent buy. Designed for the wildlife observation and birdwatching, the Braska Naturescape binocular series consist of full size roof prism binoculars as well as compact roof and porro prisim options. The full size Naturescape's feature phase-coated and fully multi-coated optics with BAK-4 prisms for sharp that make for a good pair of binoculars and come with a deluxe carrying case and neckstrap. Phase correction is only really found on superior quality binoculars. For more you can read my article on Phase Correction in Binoculars. 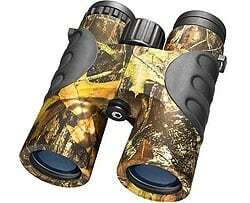 If you are after a compact pair of Naturescapes, I would probably opt for the 8x26, 10x26 or 12x26 porro prism designs as the roof prisms only come with BK7 prisms suggesting cheaper binoculars. The full size Naturescapes have list prices of around $400, they can now be found on Amazon for around $150, which considering they have phase-coated prisms as well as many other quality features makes them an excellent buy. In the UK they are available from between £120 and £170, which again is pretty good value for money. Other models eange in price from $30 to $60.